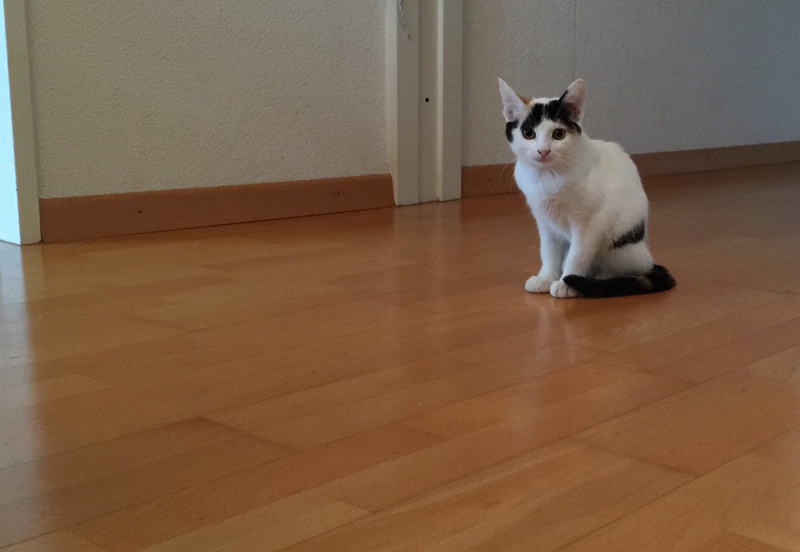 It is our new baby: three months old, silky coat and not shy at all. Loulou tells our two other cats who is the boss in this house. Hissing und growling like a big old cat, this tiny thing already knows how to make upset the others. The cat is the late birthday present for nine-year-old Little Boy, and he is the new mother of this creature. He takes his role very seriously. I found him yesterday sitting in his room with his cat, reading with his softest voice little stories to his four-legged friend and looking at me proudly like a mother with her baby. This morning, Little Boy first complained when I woke him up with his cat. “Loulou crawled under my duvet tonight and bit me in my big toe”, he told me and asked, “do you know how much painful this was?” I understood very well. Although, he had been warned of these kinds of coincidences by the former cat mother. But Little Boys’ dedication to Loulou is still unbroken. He didn’t have time to do his homework after school because it wanted to play with him and he found it an excellent idea. Well, we’ll be talking soon to the cat in order to get some free minutes for homework.